I just uploaded a bunch of Screenshots & Captures that were over at Halomods.com that show off some of the current Halo 3 Modifications going on at the moment, they’re pretty damn cool! Anthony has managed to locate the values in the 360 executable file that allows him to execute debug commands such as wireframe which you can see in the screenshots, Veegie has modified the game so that it allows him to play as an ODST Marine in the single player campaign which also looks very cool! Check out the custom melee animations also. Posted in Halo. 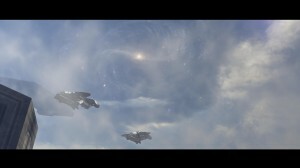 Tagged with Halo 3, Halo 3 Modding, Halo 3 Photography, Halo Modding, Halo Photography, Modding, Mods, Photography. I just finished uploading Sniper Canyon Redux & the ‘Halo Custom Conversion Edition’ map pack for those that requested it over at Halomods, you can grab them here Sniper Canyon Redux – HCCE , this brings the list of map packs hosted to 9 which isn’t a bad feat at all! Posted in Halo. Tagged with Halo, Halo 1, Modding, Mods.